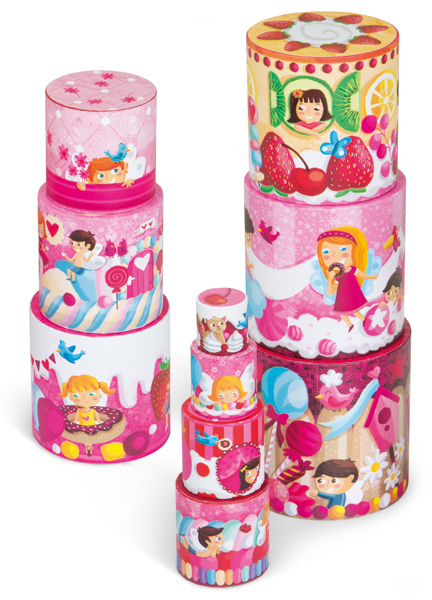 Come and join the tea party! 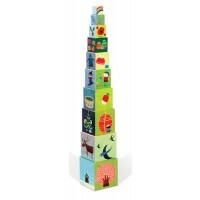 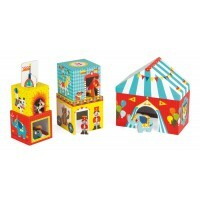 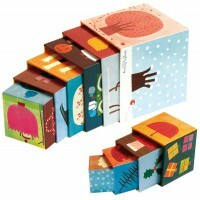 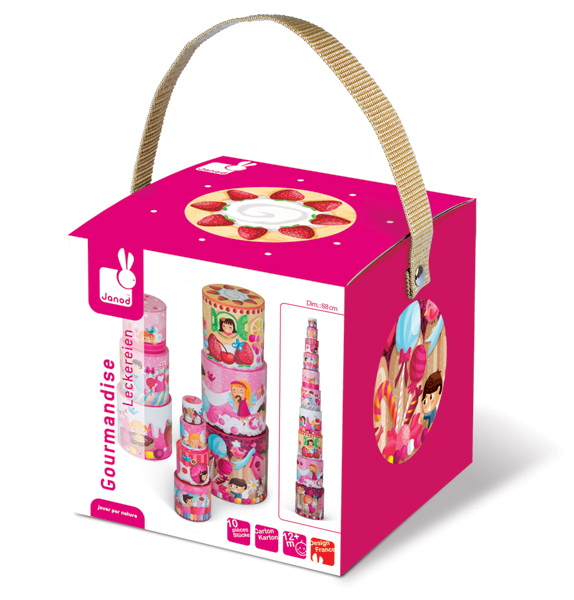 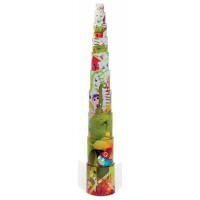 Super sweet with gorgeous colours the Delicacies Stacking Pyramid will delight little girls of all ages. 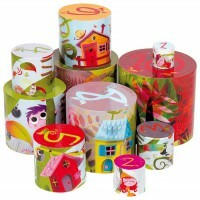 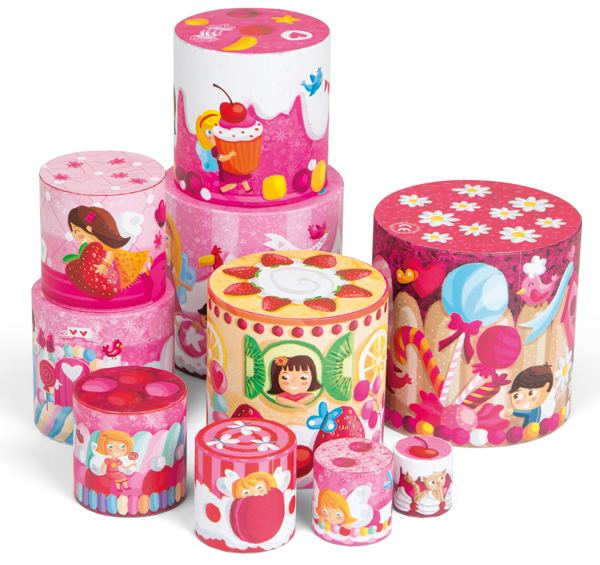 10 round boxes that can be stacked to depict a tea party with goodies and games or place them inside each other to learn dimension. 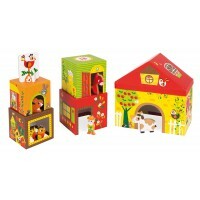 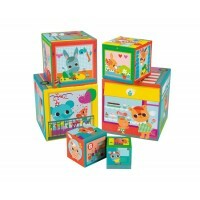 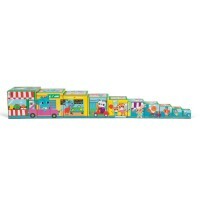 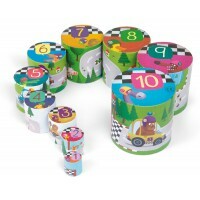 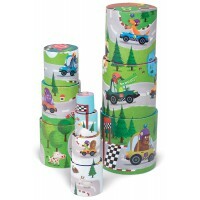 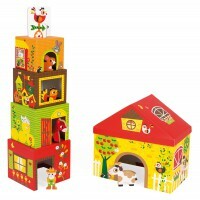 Stimulate the littlies with the colours and amuse the older ones with the graphics and picture numerals on the tops. 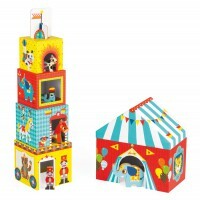 Perfect for a first birthday gift that they will enjoy for years.